This tag measures approximately 4 3/4 inches by 6 inches (without the ribbon). 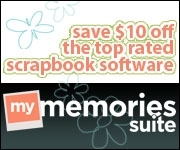 I cut it out with my Cricut and the Creative Memories Traveler cartridge. I used My Creative Time's egg dies from the Hello Spring set to create the pumpkin. I also used the Piles of Smiles set for the leaf and the "Give Thanks" sentiment along with the Just For You set for the stamped sentiments in the circle. For the tag, I used the Teeny Tag Greetings stamp set. The papers are some old We R Memory Keepers from my scrap pile and I stamped the woodgrain with an old SU background stamp. I finished off the card with a little Jute ribbon from Liz's Paper Loft Boutique, Peapod bakers twine from The Twinery, some stitched ribbon from SU and a little stitching and buttons. 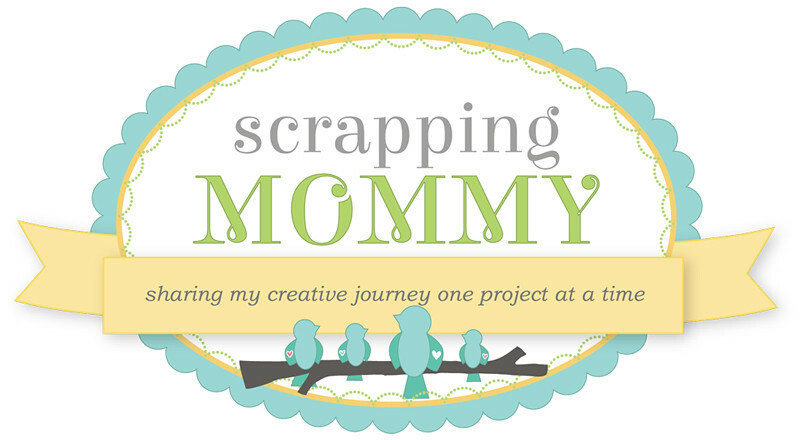 I hope you can hop over and join us by creating a large tag like the one I created. 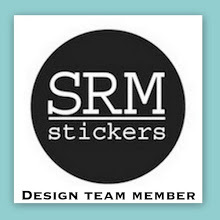 You can check out all the details and the other projects by my fellow designers over at the My Creative Time blog along with how to link up when you are ready to join us. I really like this tag. All the elements are perfect. Oh, how pretty, Amy! 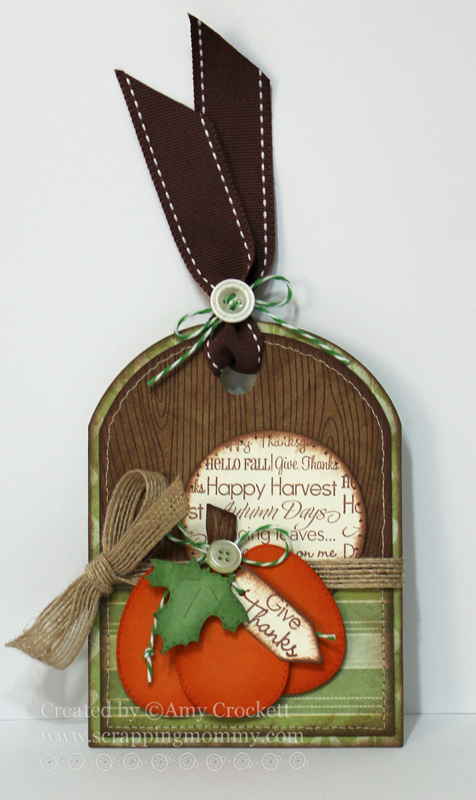 You've captured the feel of Fall all on one tag! Such pretty papers and darling pumpkin. TFS! What a beautiful tag, Amy! It just screams "warmth"! I love how you used the sentiments within the circle! You are amazing!!! I would have never thought to use an egg die to make a pumpkin! You are so clever and talented! Thanks for sharing your talent. Amy ~ this is so BEAUTIFUL! You captured Fall PERFECTLY!! LOVe the pumpkin and the circle with the sentiment! WOW!!! Those paers just flow GORGOEUSLY together! Awesome job!!! What a beautiful fall tag! I love the colors and those fabulous pattern papers. Oh and the jute ribbon is perfect! Beautiful tag! Really looking forward to Thanksgiving this year! Absolutely GORGEOUS! I love every little thing about this tag... it's fabulous!! Beautiful job on your tag! I like the stamped circle in the back. The colors and wood paper look very fall like together...love it! amy, your projects always amaze me! this is beautiful! Wonderfully warm and cozy tag! I feel like having some hot cider now! Beautiful tag Amy! I love fall too. I love that pumpkin! I need to try making one. So cute. Beautiful color combination. Love the pumpkin egg tag!